More dog for your buck. APA! lowers big dog adoption fee to $25. Hi Debi, thanks for helping spread the word about APA! 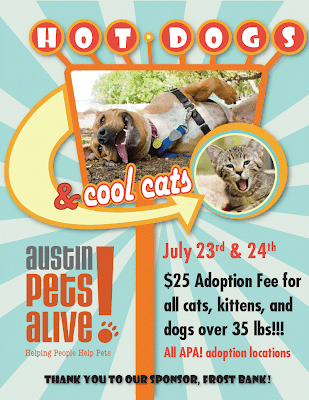 Don't know if you saw the news but we have closed all off-site adoption centers for the week, so no dogs will be at PetSmarts, they will stay at our headquarters on Manchaca. 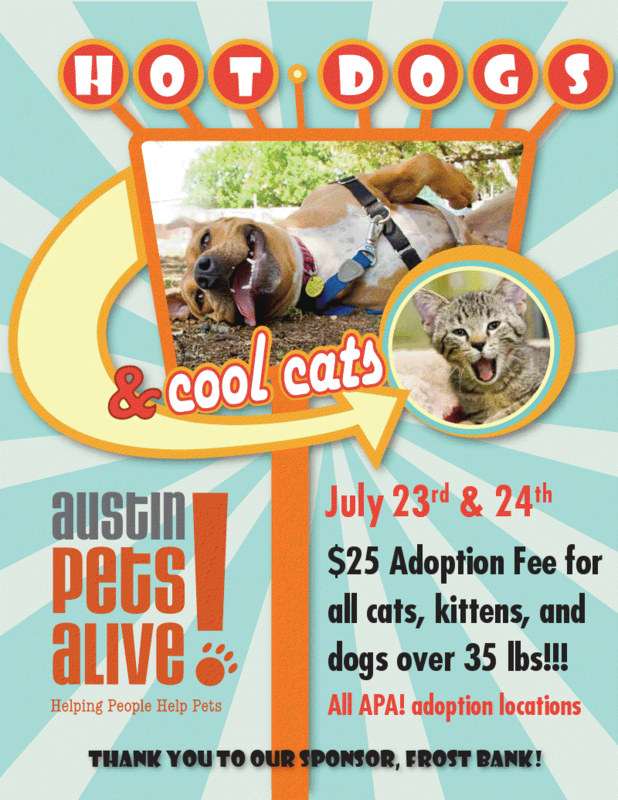 Help us spread the word, all dogs over 6 months are $20, we need to send them to nice air conditioned homes as soon as possible to make room so we can save more. 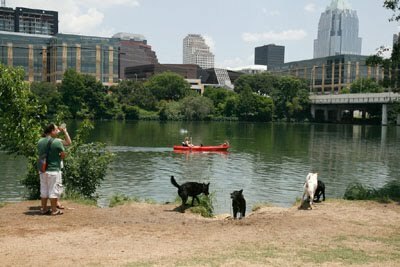 Town Lake is at capacity, as usual, and without our help they will have a hard time staying no-kill. Thanks for all you do for the dog community!